Congratulations to the 2014/2015 Scholarship Winners! 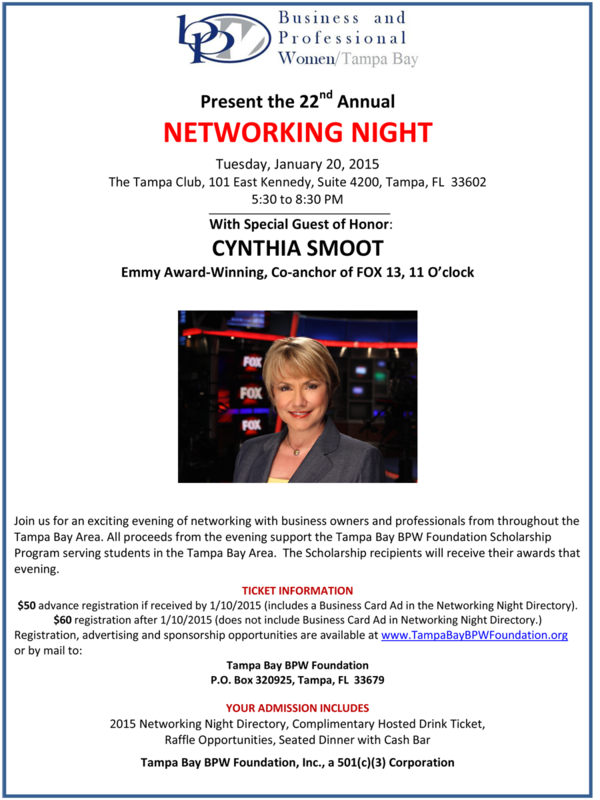 Through generous donations to our 2015 Networking Night, the proceeds raised for the Tampa Bay BPW Foundation were awarded to Tampa Bay women as educational scholarships. Click HERE to meet the winners and learn about their success!